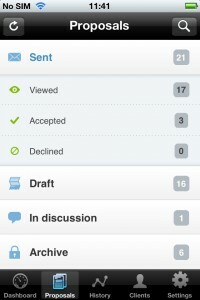 iPhone app for proposals? Done! Finally we’ve nailed it. 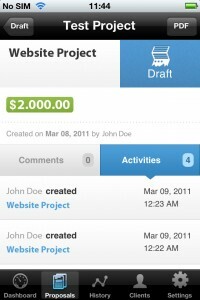 Quote Roller’s App for iPhone has been officially released via iTunes store. And guess what? It’s completely free. We’ve been working on this for over six months and we are now happy to present the results. 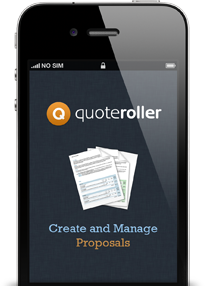 Proudly, Quote Roller is the only service to create and send proposals that has an iPhone app. We are the first! 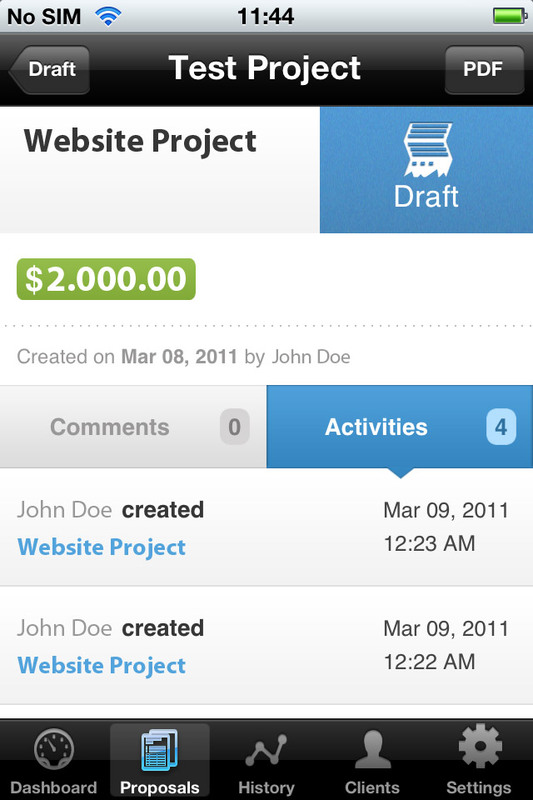 First release is built for your sales manages to stay up-to-date with what is going on with their proposals. 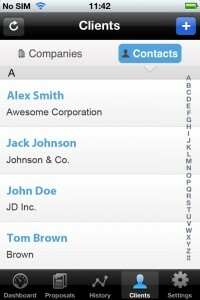 Once you install Quote Roller for the iPhone, you’ll se a slick login screen. 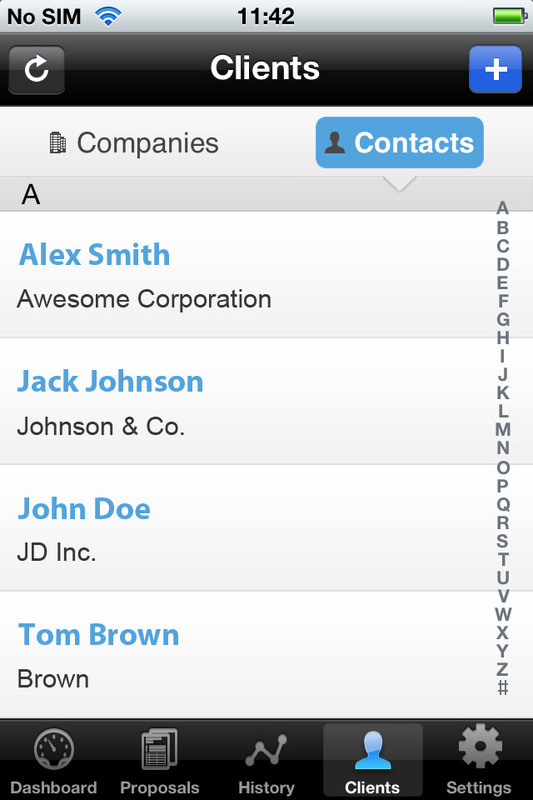 Even though it is a stand-alone native iPhone app, you will still need to have a Quote Roller account and internet connection to use it. Therefore, make sure you register for free before logging in. First thing you’ll see after logging in to the app, is the dashboard. Here you will find all things that really matter, including clients activity, proposals sent and accepted. And most importantly, our killer feature is the ability to conduct a conversation with your client, within the proposal. 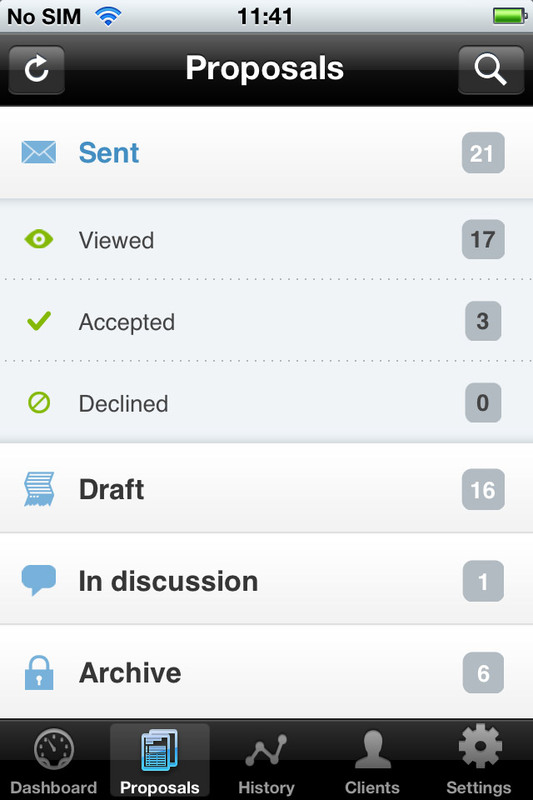 This can be found in proposals expanded view, where there is a button to post comments and discuss. This app is going to be our first step towards making the Quote Roller the must have tool to create and send proposals on the go. Be sure, we’ll be adding more functionality over time and soon you’ll be able to create, send and sign proposals on your iPhone. Do you have some feedback or an idea? Let us know, we are keen to hear your suggestions.